A very unique and rare property this Bangkok penthouse office condo offers fantastic value for any business or investor. The 515 square meters of space was fully renovated into office space by a high-tech company. Upon entering there is a foyer and spacious reception area which opens up to an enclosed waiting room overlooking the absolutely magnificent tropical garden terrace. The grassy terrace area has sturdy, well-made gazebo built on it, a pond and is surrounded with a lush tropical garden with many fruit bearing trees and plants. Beyond the greenery there are fantastic unblocked Bangkok city views to the west, east and north. 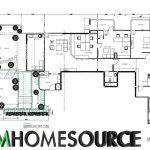 The office areas which include 5 would-be bedrooms for partitions feature minimal modern style, with a hint of loft-style decor including exposed and painted conduits throughout. The conduits are not there only for style, this Bangkok penthouse office condo is fully wired for both cable and fiber internet, has security systems in place as well as a hidden, air conditioned server room. The entire office is able to get a fantastic natural cooling breeze if the windows, the two balconies and terrace and doors (all which have magnetic doorstops) are left open. The Bangkok penthouse office also has 4 private bathrooms, all nicely renovated with high quality fixtures. The condominium building is pleasant and very well maintained, there is no chance you would be able to tell it was originally completed in 1990. This Bangkok penthouse office condo is the only terraced unit in the building. The building features quality, renovated amenities including an outdoor swimming pool, playground fitness center, jacuzzi, sauna and jogging track as well as a brand new tennis court. The condo is located in the heart of Phrom Phong which allows easy driving access to Asok, Phrom Phong and Thonglor through multiple roads. This amazing tropical garden terrace Bangkok penthouse office is also 11 minutes walking distance to the Phrom Phong BTS station and 12-14 minutes to Emquartier and Emporium shopping centers. 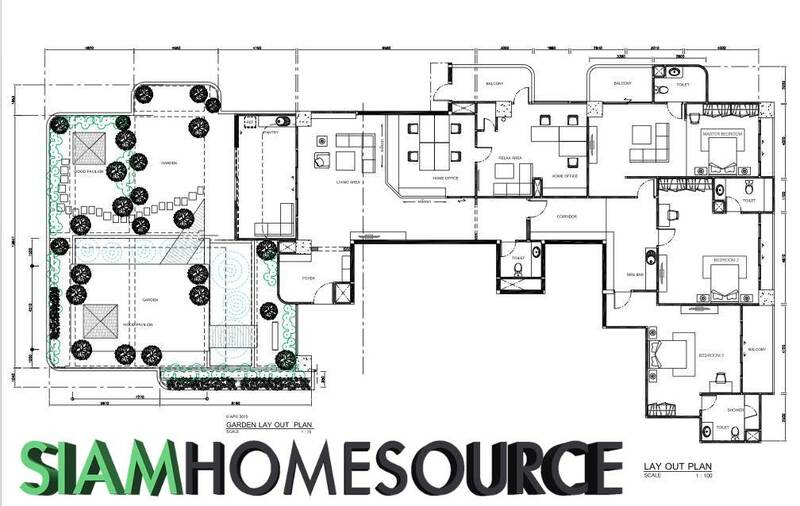 This property is a terrific investment for you and/or your company. 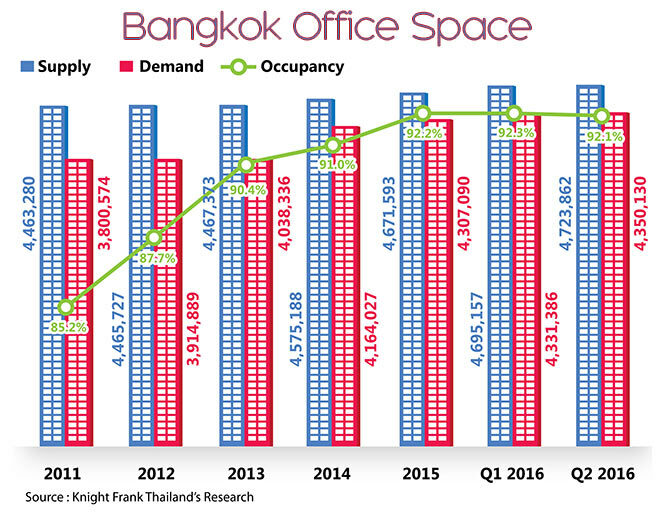 Bangkok office space is in high demand and has had over 90% occupancy rates since 2013. The rates for the Phrom Phong area are likely closer to 100 % as well. Also, don’t forget that the vast majority of Bangkok offices have normal office hours. This Bangkok penthouse will allow you and your employees to work all hours. The property includes 4 fixed parking spots but there is plenty of communal spaces for your employees who can be issued parking stickers.